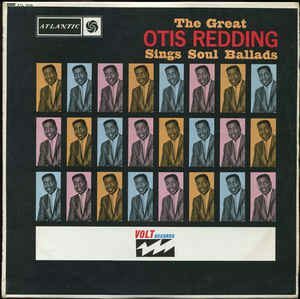 While Otis Redding’s second album, 1965’s The Great Otis Redding Sings Soul Ballads is probably my least favorite of all of his records, it does have perhaps my one of my all-time favorite album titles, leaving absolutely zero doubt as to what you’re gonna get. Not to mention the absolute balls to start the title with “The Great” instead of just calling it Otis Redding Sings Soul Ballads. I mean, they weren’t wrong, of course, because Otis was the greatest, but it was only his second album. In any event, it was the Stones version that I heard first, stuck in the middle of the first side of a record that I played more than any other I bought in 1982, and so by the time I got to hear the Otis Redding version when I went on my mid-90s Amoeba buying spree, it took me a bit to hear past the near-identical arrangement to the stellar vocals. It also helps that drummer Al Jackson Jr is right up front in the mix, his quick snare steps pushing the song forward, and Steve Cropper’s snaky guitar lines spread out all over the horns, but in the end, it’s Mr. Redding living up to the comparisons of the sun, the moon and the ocean with his vocals. That’s just how strong his voice is.